It was still very cold though, in a beautiful snowy winter wonderland way that we enjoyed. 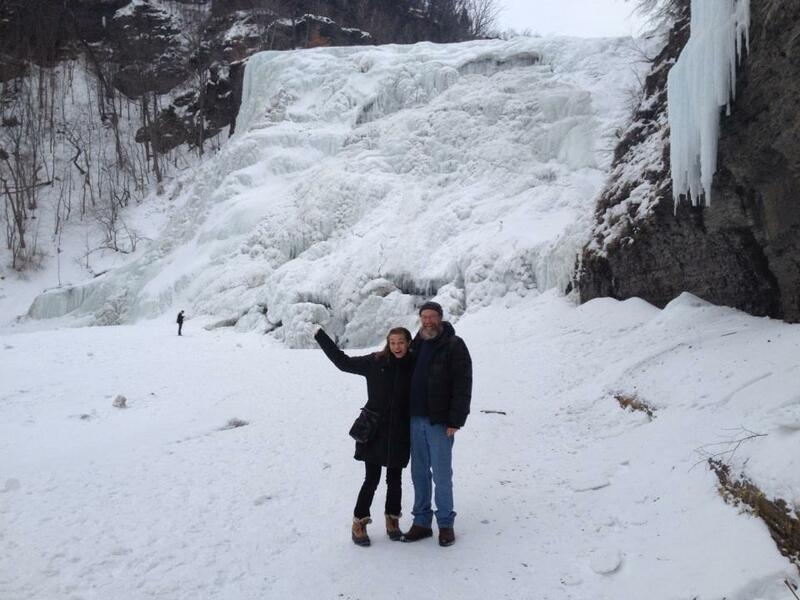 Here I am with my dad at the frozen Ithaca Falls below! This was before our show that we played for his Birthday!